The central probe agency's zonal office in Bengaluru has also written to Karnataka Police seeking all FIRs filed by it against the firm on the alleged chit fund scheme being run by it in order to study the case comprehensively. The picture for representational purpose. The Enforcement Directorate (ED) has flagged to the RBI about alleged dubious activities of a Karnataka-based firm charging it with running a ponzi scheme "in the name of Islamic banking or halal investment" and collecting over Rs 950 crore funds from gullible investors till now, officials said Thursday. The central probe agency's zonal office in Bengaluru has also written to Karnataka Police seeking all FIRs filed by it against the firm on the alleged chit fund scheme being run by it in order to study the case comprehensively and file a fresh criminal case under the Prevention of Money Laundering Act (PMLA). Islamic banking or halal investment is illegal in India. The ED identified the accused firm as Ms Ambidant Marketing Private Limited, run by one S Fareed Ahmed and S Afaq Ahmed, and said it first came under its radar in January for alleged FEMA contraventions and subsequently searches were conducted on the company that month. Emails and phone calls to the company did not elicit a response. "The ED had acted on the firm based on some vital information obtained from the Income Tax Department about its financial dealings and possible indulgence into hawala transactions. The raids were conducted on January 4 and 5," a senior official said. The agency said it seized Rs 1.97 crore cash from the premises of S Fareed Ahmed and subsequently registered a case against the firm under the Foreign Exchange Management Act (FEMA). 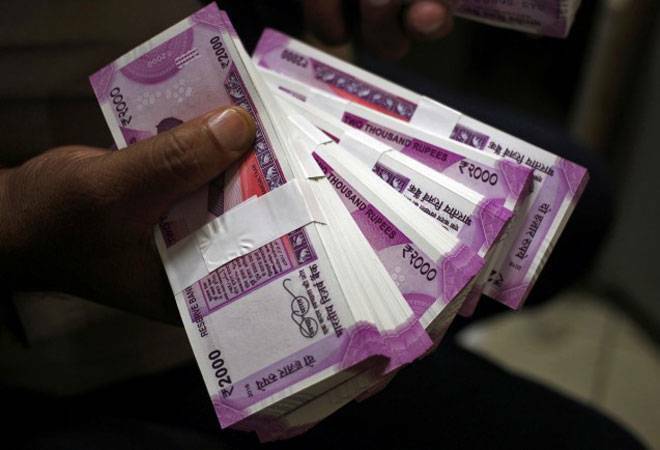 "A penalty of Rs 1.86 crore was recovered from the firm after adjudication proceedings were made under FEMA while the cash of Rs 1.97 crore was seized," the official said. Now during further probe against the firm for its forex dealings in UAE, the ED said it was revealed that the firm is "involved in collecting investments from customers in the name of halal investment and offering huge returns to the extent of up to 12 per cent per month." This money was collected through electronic transfer, cheque and cash, the official said, adding no permission either from the RBI or market regulator SEBI was obtained by the company. The company, since December, 2016, has received over Rs 954.05 crore from investors under plans called "ultimate plan and Haj/Umrah plan." "It is intriguing that returns to the tune of 10-12 per cent per month are being offered to the investors in the name Islamic banking," the ED said in its communication to the Reserve Bank of India (RBI). "This scheme surely looks to be a potential ponzi scheme and the RBI has been asked to have a re-look into the matter and protect the interest of investors at large who are being duped in the name of Islamic banking and halal investment," the official said.